Every time you turn around, there’s a new “fad”—even for teeth! Whether it’s a celebrity rocking a diamond-encrusted grill or a cheap DIY toothpaste that “ensures” life-changing whitening results—how are patients supposed to know what’s good for their teeth and what to avoid? Your dentist in Ocala wants to warn you about a few fads that you should think twice about before trying. Did they just say that…charcoal…can whiten teeth? Charcoal can be found on social media everywhere! 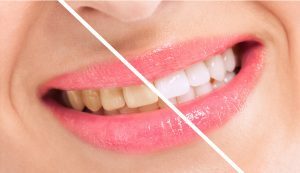 Most would think that something so dark couldn’t whiten teeth—but social media uses that exact thought to add a “wow factor” to this whitening method. Although this fad could possibly help your teeth appear whiter initially, your oral health will decline soon thereafter. Why? This method of using activated charcoal is extremely abrasive to your tooth enamel. Whenever you etch the surface layer of your teeth, it will appear whiter—but then you just exposed your protective layer of enamel. Go a step further and suddenly your teeth will not only feel more sensitive but they’ll look more yellow than ever since every substance is able to penetrate the deeper layers of your teeth. Is your future shining bright like a diamond…or are you setting yourself up for a future full of dental work? Removable grills promote tooth decay and encourage bacterial growth along your smile and gum line from having your teeth being covered in this metal case throughout the day. Permanent grills work just as porcelain veneers, masking your natural teeth. But, just as veneers require regular dental work, so do permanent grills! Once you get one, there’s no going back. Can coconut oil clean your mouth? Since When? Another fad that’s surprisingly lasted throughout the years with as little valid research as it has, claims to offer unlimited health benefits—even whitening your teeth. By swishing your mouth with coconut oil (oil pulling), you’re supposedly able to pull dental bacteria that would otherwise be left in your mouth and remove it. There are claims stating that dental plaque has a fatty outer coating. Although not a proven fact, oil pulling is supposed to stick to the substance and pull it away from your teeth. There’s no research stating whether oil pulling is effective or not, but there aren’t any harmful side effects to fear either. When it comes to dental fads, be sure to do your research before using your teeth as a science experiment. If you have questions, always reach out to your dentist first. If you’re looking to restore your smile to its full potential, you need a dentist that can help you decipher myths from facts. With extensive education and experience in the dental field, Dr. Weldon makes for a great resource when it comes to oral health questions. Feel free to contact Weldon General and Cosmetic Dentistry if you would like meaningful dental advice or if you would like to schedule an appointment with Dr. Weldon. Call (352) 509-5761.